Happy Sunday! I hope you are enjoying your weekend! 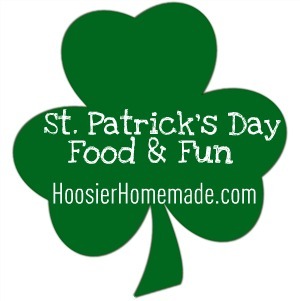 Last week I shared my love for the inspiration I find on Pinterest, and since we are celebrating St. Patrick’s Day with 17 days of Food and Fun…I thought it was a perfect time to share some St. Patrick’s Day Inspiration from Pinterest. 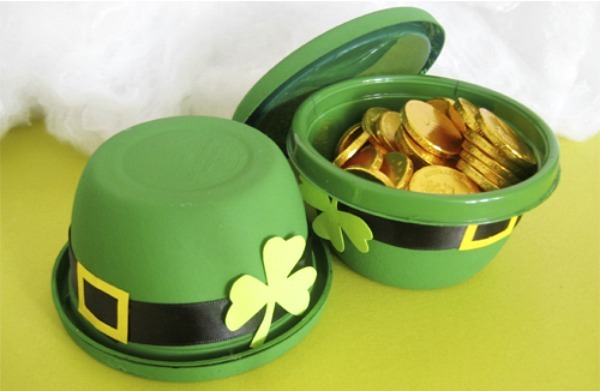 These little Leprechaun Hats from Paper Plate and Plane, would make cute classroom treats! She shared them as a guest post on Canadian Living! 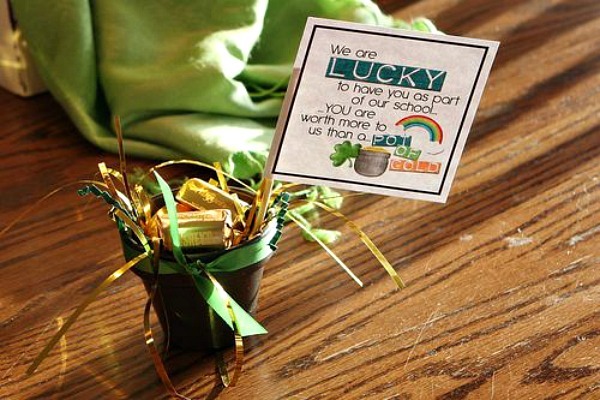 Any Leprechaun getting caught in this trap will probably be pretty happy! 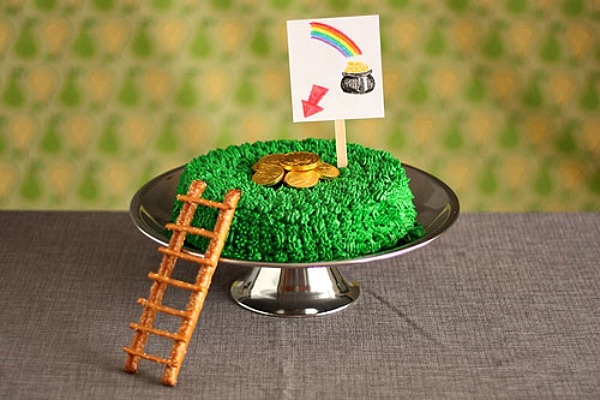 Leprechaun Trap Cake shared by Not Martha. 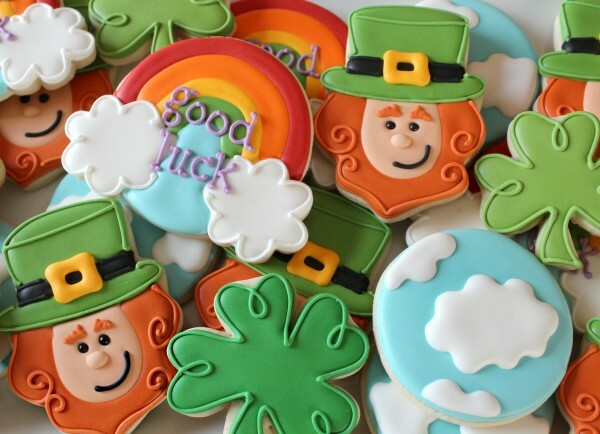 Sweet Sugar Belle always does amazing work on her cookies, and these for St. Patrick’s Day are almost too cute to eat! 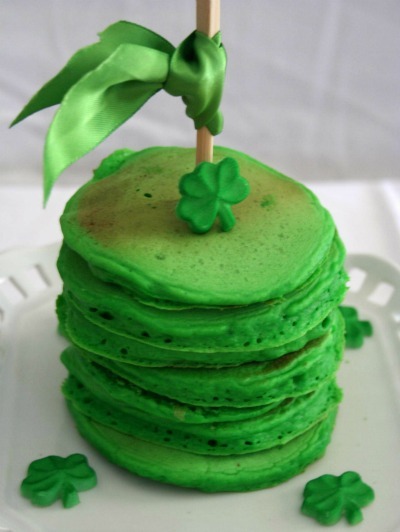 I think even my teenagers would love green pancakes for breakfast on St. Patrick’s Day! Thoughtfully Simple whipped them up. 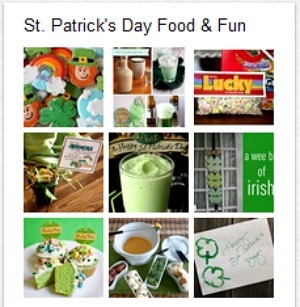 Wouldn’t these St. Patrick’s Day Teacher Gifts be fun to make? Finding Balance shows you how to make them with clay pots. 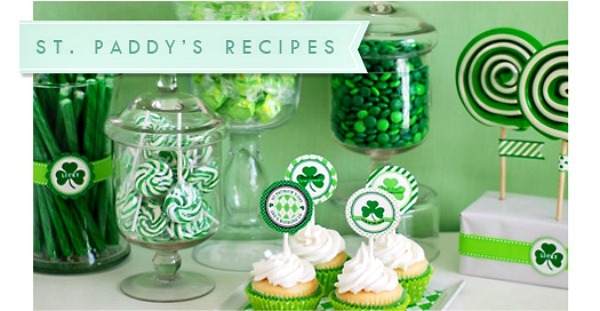 More Design Please shared LOTS of yummy ideas to serve at your St. Patrick’s Day Party! 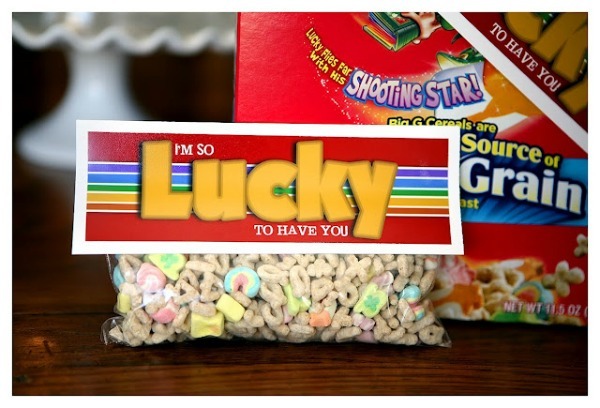 We would all be a little lucky to receive these snack bags with toppers! But I bet the kiddos and their classmates would love them! Eighteen25 shows you how to make them. 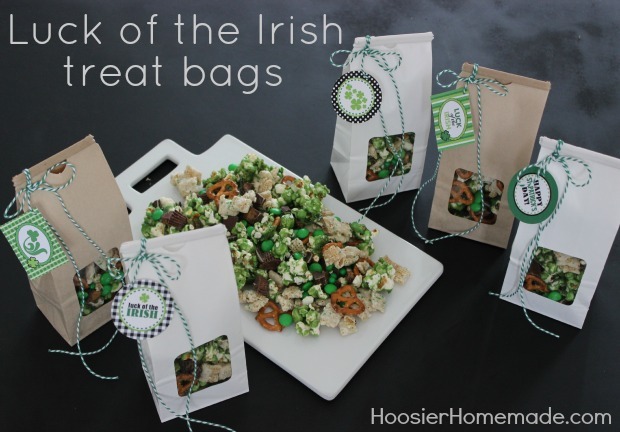 Luck of the Irish Party Mix with Green Caramel Corn, Andes Mints and more includes tags to add to your gifts for this yummy treat! How cool am I to be included in this post? I’m pretty sure that has never happened to me before. Thanks! Super fun ideas! I’m so excited you liked them! Thanks for letting me know!